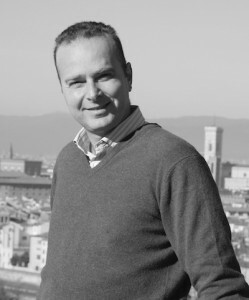 Looking for a Florence Tour Guide? Maybe you know, or maybe not, that recent changes in EU laws allowed every tour guide in Europe to provide his services anywhere, including Florence. Before this new regulation was approved, obtaining the license to be a Florence Tour Guide was very difficult: candidates had to study for two years attending a long course and passing a difficult exam and this was made to keep the service quality as high as possible. The lobbies of multinational tour operators favorited this new regulation to increase their margins, totally disregarding the final customer who is not guaranteed anymore. The new regulation means that as long as you have done a course anywhere in the EU you can guide tourists anywhere in the continent. It’s like passing the exam to be a teacher in Bulgarian language and going to teach Dutch to Americans. Think of this when you decide to book a cheap group tour thinking that you found a great deal: maybe your tour guide passed the exam to be a guide in Barcelona or Berlin and has no idea what the Renaissance in Florence is about, there is no way to know. Well, everybody in our group is a Local Genuine Florence Tour Guide. We studied hard to get our license, and we are not scared to say that our services are the best. Florence, Italy is an awesome place and there’s no better way to visit the city than with a Local Genuine Florence Tour Guide going along with you in the historical city center. We are a group of professional freelance Florence Tour guides; each guide has a deep knowledge of the city, including curiosities, legends, symbols, traditions, wine and cuisine. Do you need a doctor in Art History? An archeologist? A guide for your children? We have all of them and more! We are here to welcome you and make your trip to Florence an unforgettable experience. Just get in touch with us for any question about Florence, and we’ll be happy to answer! Andrea loves the history of Florence and likes to explore the connection between history, philosophy and arts. When not driving tourists around the city, he loves blogging about Florence. He runs this website and yourcontactinflorence.com. He will directly provide the services listed in this website, when available, or will find another expert licensed guide to replace him.